Purandar Fort is present in Saswad village, 50 km away from Pune, Maharashtra. This is the fortress where the Chhatrapati Sambaji Raje Bhosle was born. Sambaji was the son of Chhatrapati Shivaji. Shivaji had the first win by capturing this fortress. Mughal Emperor Aurangzeb captured this fortress in 1665. But it was under his control for only five years. After 5 years Shivaji redeemed and waved the Maratha flag on the fortress of Purandar. A tunnel in the fort Whose path leads out of the Fort. Shivaji used this tunnel to go outside during the war. Chandrasampat Deshpande took Purandar Fort from the Bahamani government. He started the reconstruction of this fort. His family member Mahadji Neelkanthrao worked hard to complete this work. This fort was conquered around Nizamshahi Sardar Malik Ahmad in about 1489. In the year 1550 fort comes under Adilshahi. Adilshah imprisoned ShahajiRaje (Father of Shivaji Maharaj) in 1649 AD. This was the period when Shivaji Maharaj captured many Adilshahi forts. So Adilshah sent Fattekhan to handle Shivaji Maharaj. The situation was very complicated for Maratha king. On one hand, his father was in jail, while on the other hand, “Swarajya” was in danger of being attacked by the Fattekhan. Maharaj chose the place Purandar for the battle. This fort was under the control of Mahadji Nilkanthrao. Shivaji succeeded in taking advantage of the fight between Nilkanthrao and his brother and entered the fort. With the help of Purandar fort, the Marathas fought against Fattekhan and won the battle. Shivaji Maharaj got great success in his first battle. In 1655 Shivaji Raje appointed Netaji Palkar as the “Sarnaubat” of this fortress. According to Marathi calendar, Vaishakh Shaka 1579 nine, 16, 1657 On Thursday, the day of Sambhaji king was born in this fort. In 1665, Mughal Sardar Jai Singh started the war of Purandar. The description of this struggle is visible in a historical document “Sabhasad Bakhri”. In this war, Mughals defeated Maratha. When the Shivaji came to know about this, he started talking with Jai Singh and on 11th June 1665, historical Purandar’s agreement was signed which is known as ‘Purandar Tah‘. As per this agreement, Maratha’s had to give their 23 forts to Mughals. These fort names are 1. Purandar 2. Rudram or Vajragad 3. Kondhana (Sinhagad) 4. Rohida 5. Lohagad 6. Visapur 7. Tung 8. Tikona 9. Prabalgad 10. Mahuli 11. Manaranjan 12. Kohoj 13. Karnala 14. Sonagadh 15. Palasad 16. Bhandargad 17. Naradurga 18. Margad 19. Vasantgad 20. Nangad 21. Ankola 22. Khirdurg (Sagargad) 23. Maangad. On 8 March 1670, Nulopant Mujumdar conquered this fort again and brought the fort under Maratha Swarajya. After the death of Sambhaji king, Aurangzeb won the fort and named him “Azamgad“. On behalf of the Marathas, Shankarji Narayan took a Purandar Fort from the Mughals. In 1695, Chhatrapati Shahu gave the fort to Peshwa. This fort was the capital of Peshwas for the long period. 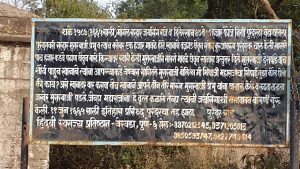 In 1697, Gangabai Peshve had a son on the fort, which was named Sawai Madhavrao. The British captured the fort in 1818. The geographic location of the fort is located at the 18.18-degrees latitude and 74.33-degrees longitude. The fortress is approximately 20 miles to the southeast of Pune and six miles to the Southwest of Saswad. Most of the surrounding area is a flat surface. On the west, there is the hill range. Historical Sinhagad Fort is located in the 13-14 miles northwest and Rajgad Fort is located in the 19-20 miles to the west. There is a village named Narayanpur in the foothills of Purandar Fort. This village has a temple of Lord Shiva built in the time of Yadava. It is estimated that this fort was built about 1000 to 1200 years ago. The fort is strong and the is used for better defense. All aspects of the citadel are inaccessible excluding one facet. Rameshwar Temple: This was a private temple of Peshwa. When we are moving towards this temple, the remnants of Peshwa’s double-storeyed palaces are visible. At the beginning of the Peshwa, Balaji Vishwanath built it. Sawai Madhavrao was born in this castle. There is a well behind the castle. Even today it is in good condition. Bini Darwaja(Door): This is the only door on Purandar machi. You get this door while going to the fort from Narayanpur village. The door is still in good condition. After entering the door, there are guard windows. There are two roads, one goes straight ahead and the other turns to the left side. When you are on the straight road, you see army barracks and some bungalows on the ramp. The overall length of the machi is one mile, and the width is 100 to 150 feet. On the way forward, a ‘Purandeshwar’ temple is seen on the right side of the citadel. Delhi Darwaja(Door): This is the north-facing door. At the flip of the door, there’s a temple of goddess Shri Lakshmi. The door is good condition. After coming inside this gate, any other door is seen at the right. The left wing is going to the opposite end of the fortress. You can see a few water tanks here. There is nothing special to watch here. Purandeshwar Temple: This is the lord “Mahadev” temple. In the temple, there is a one and a half feet tall statue of Lord “Indra”. This temple is generally of a Hemadpanthi architecture. The Peshwa Bajirao I had reconstructed this temple. This fort is the ultimate choice for trekkers. Every year hundreds of trekkers visit this place and get the wonderful trekking experience here. By Road: Tourist needs to take public or private transport from Pune to reach Saswad. From Saswad there is state bus available for Saswad to Narayanpur. By Railway: The nearest railway station is Pune junction. It is located at the distance of 45 kms from the fort. You can reach by road from Pune to Purandar. By Air: The nearest airport is Pune airport. This airport is connected with all major international and national cities. 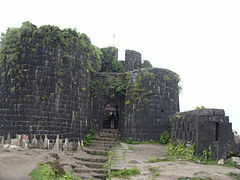 Tourist can reach Purandar Fort from Pune by road. Distance From Pune: It is around 60 kms away from metropolitan city Pune. Timings: It remains open on all weekdays. Tourist can visit this place between 9 am to 6 pm. Entry Fees: Entry Fee not required here. Visiting Hours: It takes approx. 2 hours to view this place. Best Time To Visit: Tourist can visit this place at any time throughout the year. But we suggest visiting this place between June To February. Climatic conditions remain good during this period.